The Dominican flag was last altered in 1990. 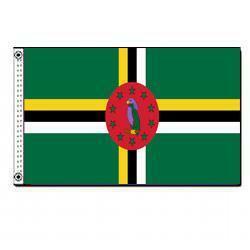 This flag features the sisserou parrot, unique to Dominica. The red disk that the bird is on represents social justice, while the 10 stars represent Dominica’s 10 parishes. The cross signifies the trinity and the Christian faith. 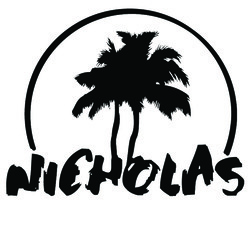 The green background symbolizes the lush vegetation on the island. The three colors that make up the cross represent the indigenous people, fertile soil, and pure water.